Brunetti is investigating a cold case by request of the grand Contessa Lando-Continui, a friend of Brunettis mother-in-law. Fifteen years ago the Contessas teenage granddaughter, Manuela, was found drowning in a canal. She was rescued from the canal at the last moment, but in many ways it was too late; she suffered severe brain damage and her life was never the same again. 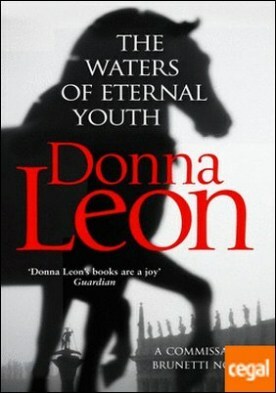 Once a passionate horse rider, Manuela, now aged thirty, cannot remember the accident, or her beloved horse, and lives trapped in an eternal youth. The Contessa, unconvinced that this was an accident, implores Brunetti to find the culprit she believes was responsible for ruining Manuela’s life. Out of a mixture of curiosity, pity and a willingness to fulfil the wishes of a loving grandmother, Brunetti reopens the case. But once he starts to investigate, Brunetti finds a murky past and a dark story at its heart.